Happy Wednesday, y'all! 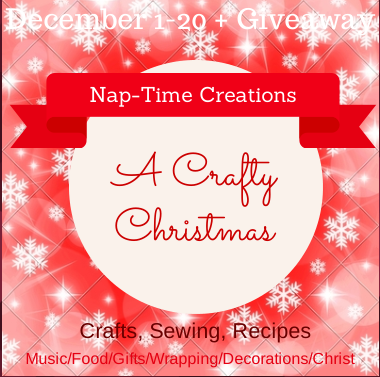 I'm so excited to be a part of Nap-Time Creations's "A Crafty Christmas" series this year. 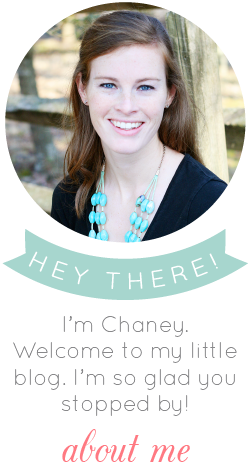 If you're coming over from Emily's blog, welcome! I'm so glad you're here. 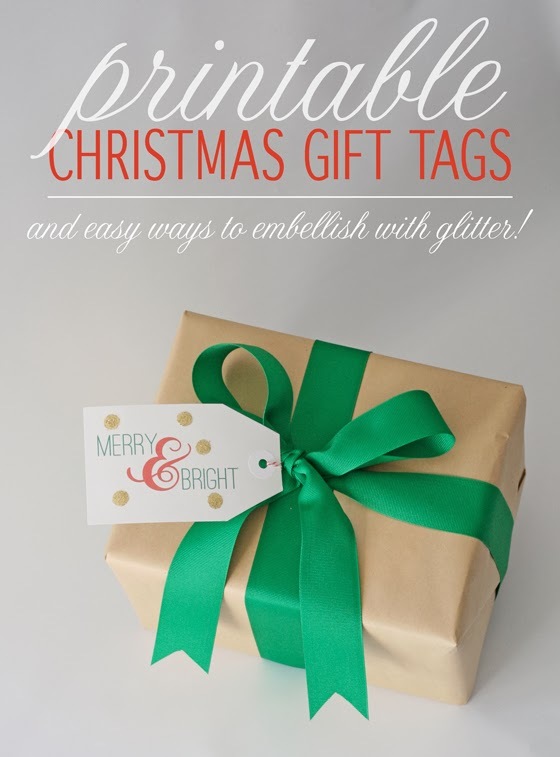 My little contribution to the series is some printable gift tags along with some fun tips on embellishing them using glitter. 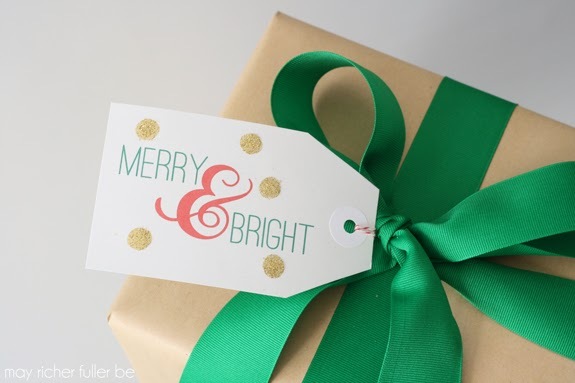 I love giving simply wrapped packages a little something extra, and gift tags are a great way to do that without breaking the bank! 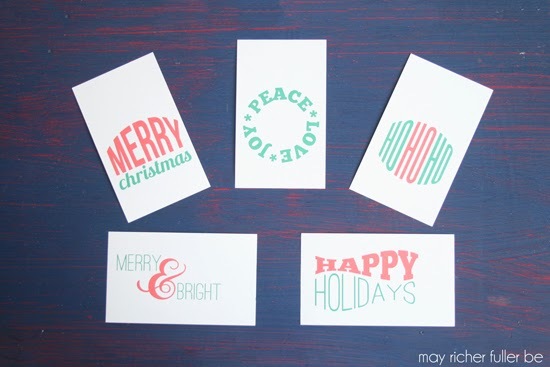 I've got five tag designs to share with you today. They come in two colorways - traditional red and green, and gold. They've got various seasonal greetings on them like "Merry Christmas" and "Peace, Love, Joy." Download them here (free for a limited time!). They're designed to print onto blank 3x5 cards, which eliminates the need to cut each one out individually from a large piece of card stock - simplifying the tag-making process! All you need to do after printing is "pretty them up" a bit. Trim the edges of one side of the tag at an angle so that the it looks more tag-like and less 3x5 card-like (for lack of a better term) :). I made one template then used it as a guide for trimming the rest. This next step is optional, but I think it makes the tags look more finished. 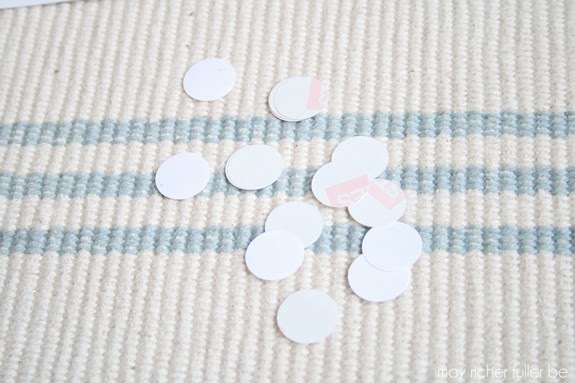 Take a sheet of blank address stickers and use a one inch hole/craft punch to make a bunch of circle stickers. These are going to act as makeshift hole reinforcers. If you have hole reinforcers handy, you can use these instead. Now, you could just be done right there and you'd have yourself a good-lookin' set of tags. I left a lot of mine just like that - nice and simple. But why not have a little fun and embellish them with a little glitter? Nothing like a little sparkle for the holidays, right? For example, to add polka dots, I scattered a few glue dots around the edges of the "Merry & Bright" tag and dabbed on some gold glitter with my finger. By using glue dots, you get nice, round circles, no liquidy-glue mess, and no drying time. Just shake off the excess glitter and you're done. Love those whimsy, glittery polka dots! 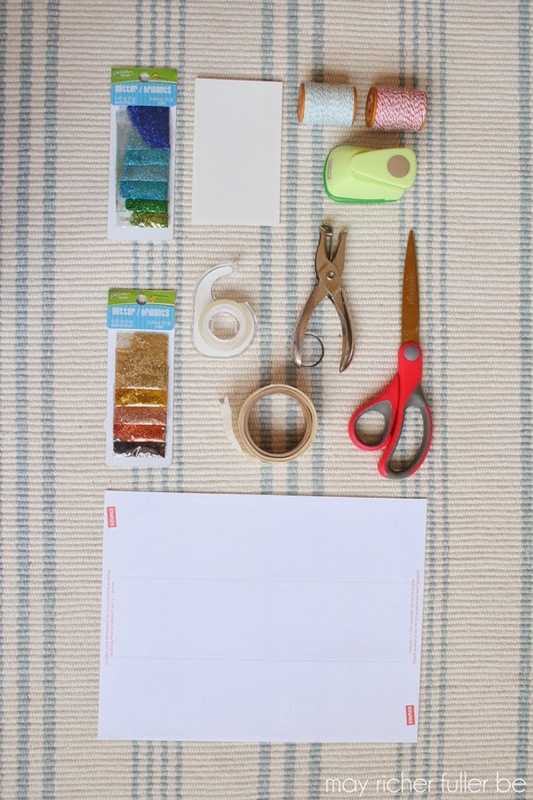 Another way to add some sparkle is to use double stick tape to make a stripe. 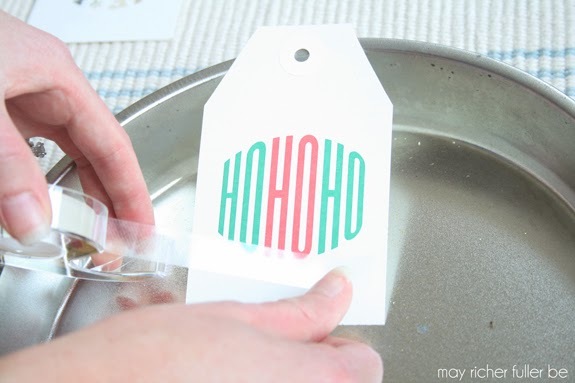 I placed a strip of tape straight across the bottom edge of a "Ho Ho Ho" tag, dabbed glitter on again with my finger, and shook off the excess. By using double stick tape, you get a nice crisp line - again with no messy glue involved! ...but they really shine when tied onto a pretty package! And here are the gold versions, which I think look best left un-embellished, but feel free to add to them if you'd like! Just for good measure, here they are all together! These would make great additions to your holiday packaging repertoire, or they'd make a great gift for a friend who also loves pretty packaging! 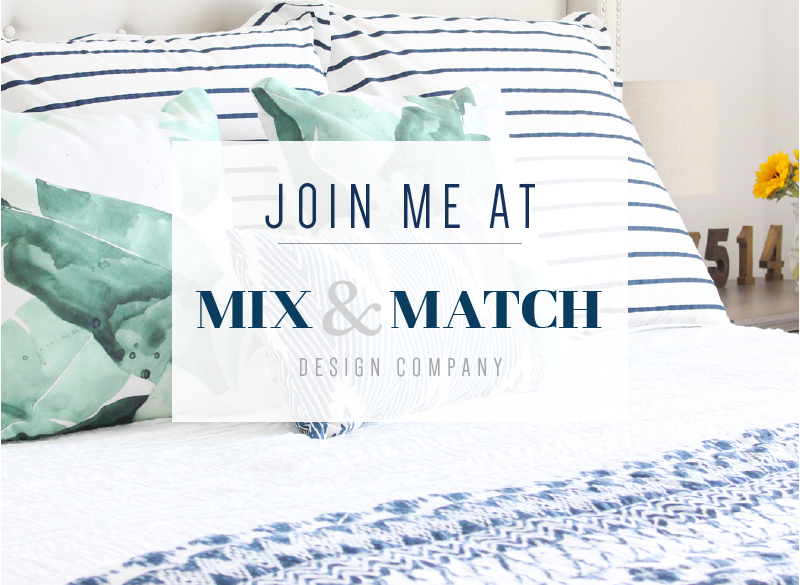 Check out ALL the awesome projects in this series over on Emily's blog (click the graphic below). 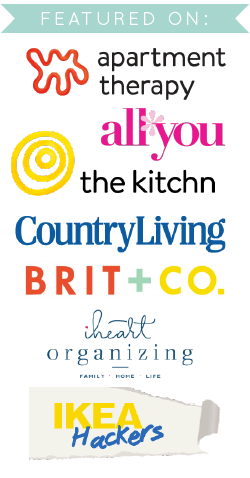 There are lots of different themes...from gift-wrapping ideas to crafts to recipes. You don't want to miss this series. Thanks again to Emily for inviting me to participate in this! Ohmigosh. I am so in love with this little glitter dots. I want to put glitter dots on everything now! The tags are SO cute! 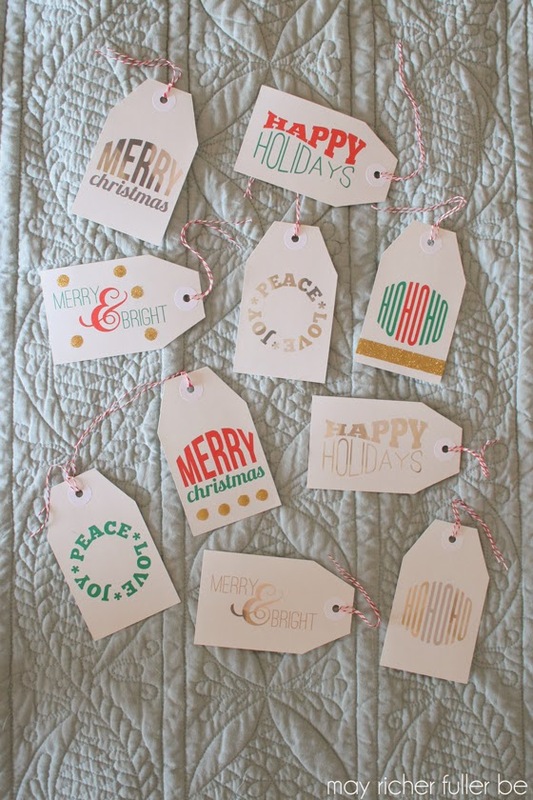 What pretty gift tags! I love how easy your idea is for adding the glitter. Perfect!